There’s nothing like a cooling ice lolly on a sunny summer’s day – and it seems that it’s not just humans that enjoy the prospect of the frozen treats on a stick. 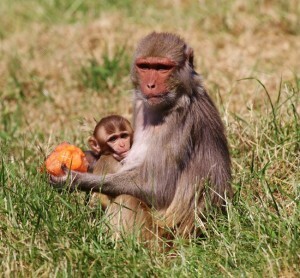 A troop of rhesus monkeys at Longleat Safari Park in Wiltshire are also determined to chill out despite the heat with the help of fruit-based ice lollies supplied by their caring keepers. 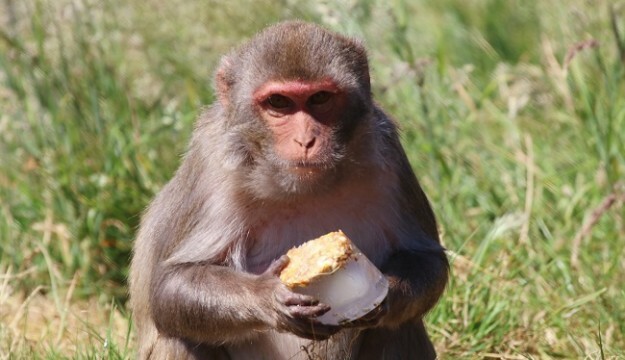 Longleat’s Ian Turner says that, as well as helping keep the monkeys cool on hot days, the ice-cold treats encourage them to utilise their natural foraging instincts. “Normally we’d hide the food among the long grass in their enclosure so they have to go hunting for it but we thought it was time to give them a treat; particularly with the current heatwave,” he said. Found throughout south east Asia and across the Indian subcontinent rhesus monkeys thrive in a wide variety of habitats and climates. In some parts of India they are believed to be sacred with the result that they have lived in close contact with humans for countless centuries – particularly in and around Buddhist and Hindu temples. 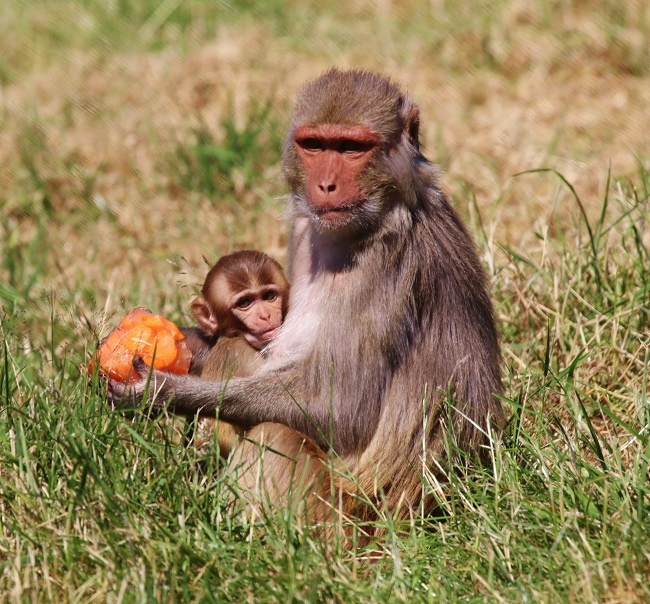 Rhesus monkeys are extremely intelligent, naturally inquisitive animals which can learn to manipulate simple tools and distinguish colours and shapes. Highly sociable they live in family troops of 20 or more led by a dominant male. Food is gathered as a group – one monkey acting as ‘look-out’ for danger, while the others fill their cheek pouches with as much food as they can.